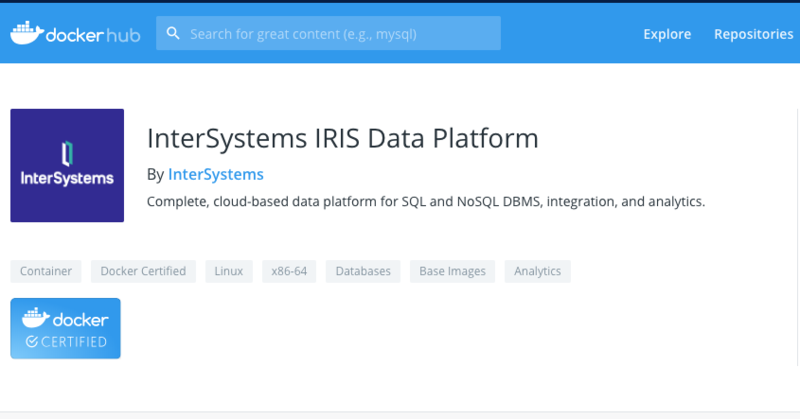 For more on running IRIS in containers check out our Documentation or one of the many Community posts on the topic! What are the limitations of Community edition? One limitation I can see straight away is that this version only includes outdated files for Node.js (ie the iris*.node files). All I see is iris610.node and iris700.node. Is there a reason why the Node.js version 8 and version 10 interface files haven't been included? 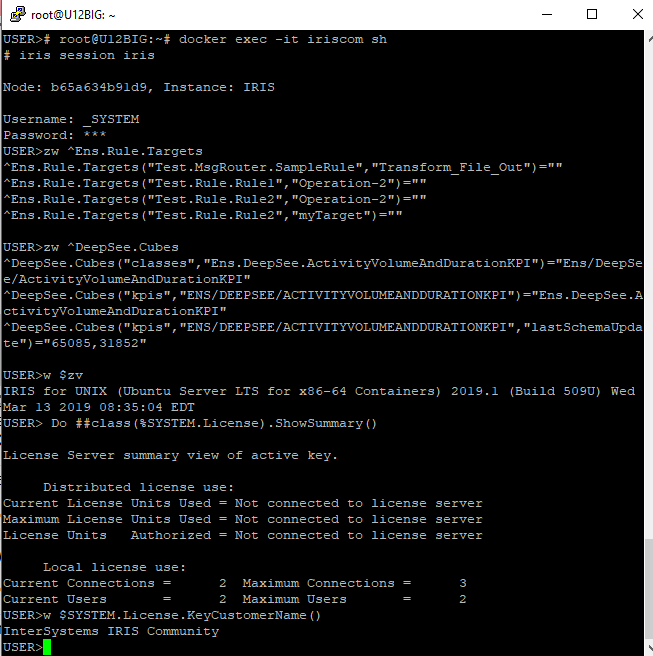 I downloaded IRIS Community edition (store/intersystems/iris:2019.1.0.510.0-community) and was able to create package and global mappings without any issues. I was able to create the mappings, but they don't seem to work for me. Not even after an IRIS restart. I'm using the %ALL pseudo-namespace. My use-case is a bit different. Can you create a new database and namespace pair called XYZ and then define a %ALL mapping so that the globals ^XYZ and the routines XYZ* and the package XYZ get fetched from your XYZ namespace from all other namespaces, e.g. USER ? I'd expect mappings to ENSLIB to work, otherwise the "Ensemble" features of IRIS would be broken in Community Edition. It seems to me that those are allowed but mappings we define to our own databases get ignored. Yeah, apparently only DeepSee and Ens packages/globals can be mapped successfully. Tried random package and it didn't show up even after mapping to %ALL. Your feedback is filed here. Also here. I beat you to it!